I can’t count the number of times I have had questions about the advantage of manually controlling a hot water geyser, in other words, to turn the geyser power off during the day and turn it on again in the evening. So I decided to properly investigate this issue, and hopefully shed some light for those of you who have also wondered about this. A brief explanation of how your geyser works is necessary here for the “not-so-technical”. Your geyser is basically a big kettle – a container with an electric element inside. A geyser also has a thermostat, which is a device which continuously tries to keep the water inside at a specific temperature – a temperature which can be manually set. So if your thermostat is set to 60 degrees, and the water drops below this temperature, the element will be activated until the water temperature returns to 60 degrees. When you turn on the hot water tap, hot water leaves the geyser and is replaced with cold water. This means the water in the geyser is now at a much lower temperature, so the element kicks in to reheat the water to 60 degrees. When you are not using hot water, the geyser temperature should remain the same since no cold water is being added, but this is not the case because even when the geyser is not being used, some of the heat “leaks” through the geyser tank and into the surrounding environment, and this causes the water temperature to gradually decrease. When this goes below 60 degrees, the thermostat activates the element to heat the water up again. The extent of heat loss differs from geyser to geyser, and the usage patterns in households differ drastically. We can go into the principles of thermodynamics, and the law of conservation of energy, but the fact is that the potential saving depends completely on your specific geyser and pattern of use. There are many documented studies available on the merits of switching off your geyser, some of which have been carried out in labs by scientists, and some by regular people in their own homes. The results of these tests show savings from 2% to 40%. The obvious problem with these tests is that the playing field is not level, which is essential for good science. Some household have two people only showering in the morning, and some households have two people showering in the morning and two in the evening. Some geysers are newer, or better insulated. Some of the reported savings are simply a result of a placebo-like effect, i.e. because you are conscious of your hot water use, you use less hot water. Simply reading about somebody’s savings should not be a good enough reason to believe the same would apply to your house. The water you use needs to be replaced and get heated up again, so switching your geyser on and off will never reduce this basic amount of energy needed. So, the only time you are wasting energy is during the period where the water has reached its set temperature and starts decreasing slowly due to that heat dissipating into the environment. This is more the case with old geysers, where the insulation is less effective. Even if your geyser and piping were perfectly insulated, you could not make any savings at all by switching off because you are only using more energy to heat the water you have emptied out of the geyser. the condition of your geyser. Try to use less water – Shower rather than bath, shower for shorter periods and don’t use hot water for anything other than showering (Definitely not for washing hands!). Turn the geyser off only when you will be away for longer than 1 day. Make sure your geyser and pipes are properly insulated. If you have an old geyser, consider upgrading, or even better, consider a solar water heater. These measures can reduce the electricity consumption of your geyser, but I feel there is a much more important issue here. I think the most important part of this discussion is not really about how much electricity can be saved by controlling the use of your geyser, because I believe this is minimal and relatively useless when looking at the bigger picture. What I believe to be a more important contribution you can make is reducing the load on the national electricity grid during peak periods. A major problem with our electricity supply at the moment is not necessarily that we can’t meet the demand. The problem is we are struggling to meet the peak demand. Peak demand occurs between 6am and 9am and between 5pm and 9pm, when most of the population are either getting ready for work or getting back from work. A large part of Eskom’s new build program is to meet peak demand, so to make a real difference to electricity usage in South Africa (probably a bit more worthwhile than a difference of R30 in your pocket?) you should try to ensure your geyser is off during peak periods. This is possible without affecting your hot water needs or shower time. The easiest would be to install a controller, where you program the times in, similar to your irrigation system or pool pump and program it to turn on between 3am and 5am. This ensures you have hot water in the morning and has not added demand during peak periods. The same for the evening period if you shower at night. Program it to turn on between 3pm and 5pm. The water will be hot all evening. So, in conclusion, the benefits in terms of actual electricity savings achievable by controlling your geyser operating times in order to save yourself some money is inconsequential when compared to the difference that could be made by changing the period of use. The residential sector makes up a large part of the electricity demand in South Africa, and the hot water portion of this is significant. Reducing use during peak periods will not only help alleviate those pesky blackouts, but also reduce the need for new power stations, and therefore make a truly meaningful contribution to preservation of the environment. Note: I have come across a lot of discussion about additional wear and tear of components like elements and trip switches from being overused by switching on and off. I have found little evidence to support this. This entry was posted in Energy Efficiency, Gary Fahy, Product Observatory, Sustainable living and tagged climate change, Energy, Energy Efficiency, energy savings, Low Carbon. Bookmark the permalink. Derek, with respect, I think alternating geysers is about the worst thing you can do! By using two geysers, you’re allowing heat to leak out of two simultaneously, instead of out of one at a time. If at all practicable, pick your favourite geyser and stick to it. Or alternate only once a week or longer. I too (sometimes) switch the geyser off before using a lot of hot water. There’s no point running the element for those 10 minutes while I’m in the shower, if I’m just going to turn it off again. hi, a friend sent me the link to this story which I found great – after being so proud of only turning my geyser on every 3-5 days for 15 minutes. I reckon if you have a pool and the weather’s like we’ve had the last 3 months you don’t really need hot water at all. But most people want to shoot me when I say this, so I think your story makes sense. I would like to publish it in the Green Times, if that’s ok with you? Also, I was happy to find our logo next to the story, but then it didn’t link to our site. And found the link you had beneath linked to the Australian Green Times – could you please fix that? Hi Elma, sure that would be fine to publish our story on geysers. Thanks for pointing out the link, I have updated it. Are you saying that the latter doesn’t save you money, only alleviates peak demand? Derek, I would like to know what is the standard temperature for the geyser nd how is it set? No geyser can contain heat at 60 Celsius … every time it drops below a certain temperature your geyser will re heat the water to 60 Celsius … every time you do that you burn fosil feels my friend. To save electricity … you heat what you need and use only the energy for that. When four people shower the geyser has to start reheating from room temperature for you have 50 litre replaced by 40 litre of cold water. What a meaningful insight, every here explained very simple. You actually answered all the questions I had about the geyser. I have enjoyed reading your essays on energy around the house . Keep it up ! well worth while and that setting a (Geyserwise or similar) time/temp controlling device can save quite a bit of energy , even without solar water heating . than great motivation ! Not easy to achieve with humans . scrap rubber sheet left over from previous projects and I have a nice punch set . 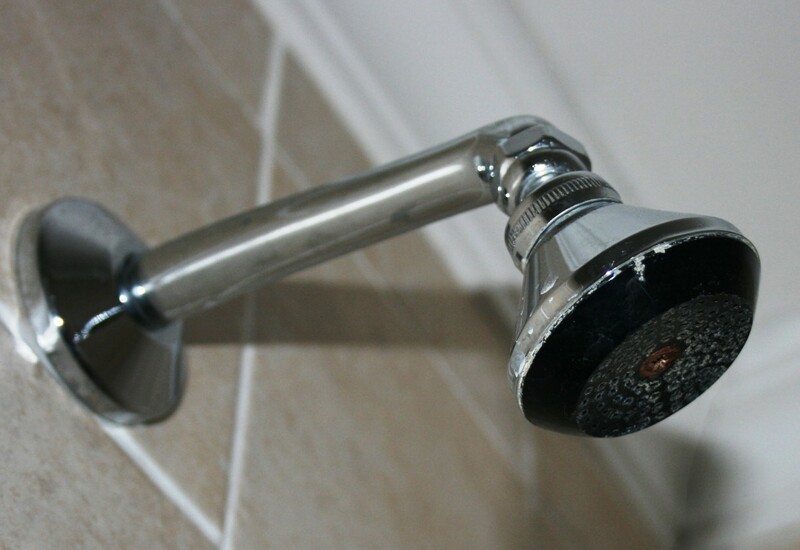 Do you really need these expensive “water saving” showerheads ? Derek,thanks for the insight.What you say makes 100% sense! Read your electrical meter, switch off the geyser for 5 hours and take another reading. Repeat this, for the same period of time with the geyser on and note the kilowatt usage drop. Mine dropped by half. I think I have damaged my geyser by switching on and off every moning and afternoon.now it is not heating water,what is the problem really? I’m, an electrical engineer I also had many questions by people about this. From what I have worked out, I must agree with the author. There is a slight possibility of saving. Theoretically when assuming 100% efficiency of the geyser. Switching on and off will make no difference because during the on cycle you will use as much energy as you saved in the off cycle. Theoretically when considering a geyser to loose heat. A geyser that is constantly on will on average be warmer than a geyser that is turned off regularly. The lower average temperature will reduce the average rate of energy loss. But before you jump up and down telling your partner “I told you so” there is one catch. It really forms a very small part of the total energy loss of the geyser 30% on the worst case. The greatest energy loss is with every litre of water you use that must be reheated. That can easily be R100 to R150 for a single person the (effective usage). For a typical single person apartment, if you turn your geyser off and let water cool down to room temperature every time before switching on again. For a 2.3kWh standing loss / 24 hour geyser. you will still have about 15% energy loss. The average domestic energy usage on hot water is about 35% therefore the savings on your overall electricity bill should be about 5% at most. Bys switching the geyser on and off optimally. About R20 at most per month can be saved for someone who has a typical R350 per month bill. So its up to you to decide if it is really worth the effort. If you save more than that it is because you are energy conscious on all electrical usage or because you have less available hot water causing you to use less hot water. This example is assuming the same quality of life and hot water usage. I can’t offer formulas and scientific reasoning for my opinion, but I have recently landed squarely on the “switching off saves money” side of the issue. We previously lived on a farm and our electricity needs where taken care of by the company that we worked for. Water was pumped from a borehole and you learn fairly quickly that these use a lot of power. It was common for our bill to be around R2500 – R3000 a month! That’s for two people, working very long hours and seldom home (no tumble dryer, dishwasher or such known electricity demons). When we moved to another town we ended up living suburb-style (sadly) and I had a mini panic over the fact that I had forgotten how much electricity regular homes tend to use. The fear of a R3000 bill that we would not be able to afford sent me chasing after new ways of saving power. I have always tried to stay energy conscious (I hate lights left on in empty rooms and things being switched on when not needed) but I now tried to be really good! I knew that geysers are heavy on power so I started switching it off just before our shower times and only on again about an hour before the next shower. It was annoying at first (being unused to it we kept forgetting to switch it back on in time and would end up showering later than planned) but we got used to it. We didn’t receive our bill for the first two months (typical municipality) but eventually got it. For two and a half months worth of electricity – R867. Yay! Then my partner started a new job where he often leaves home at 5:30am. We decided that we could afford to spend a little more on electricity so that we didn’t have to get up an extra hour earlier so he could shower before work. We started switching the geyser on in the evenings and leaving it on until the morning and eventually decided to just keep it on. Our next bill related to the same amount of time as the first (roughly two and a half months) but it arrived in the amount of R1517! None of our other power usage increased – in fact, with my partner out the house even more, a few minor things have actually reduced (TV not on quite as much, kettle boiling less water, one laptop charging instead of two, etc). This seems, to me, to be obvious proof that switching our geyser off saved us almost 50% in electricity charges. Needless to say, we have started to switch it off again! One problem though; today it seems to have developed some issue. It isn’t heating up at all! That worries me a lot. I hope we have not damaged it by “on/off” routine. Does anyone know if that could be the case?!? Yes, it is harmful to switch your geyser on and off, and it has very little to do with saving on your electricity consumption bill. When the temperature stays round about 60 degrees C, there is a smaller variance in expansion and shrinking parameters than when the geyser is heated from cold to operating temperatures. As with any mechanical device, metal fatigue occurs especially at joints of different metals. Switching off and on of your geyser is like the difference between driving a car short distances, starting with a cold engine every time instead of long distances where the engine remains near operating temperature. It is a scientific fact that the latter car’s engine will easily outlast the former. Geyser bursts/leakage is more likely to occur when switching on and off. Potential replacement cost must be weighed against the uncertain amount saved when switching on and off relative to a long list of variable parameters. Consider also the resultant water damage and inconvenience of a geyser, mounted above your bedroom ceiling, which decides to develop a cracked seam at 3 o’clock in the morning. I think you mean empirical fact, not scientific fact. Please, no unsourced appeals to authority. As far as I’m aware the waters-unleashed-from-the-heavens scenario you invoke is far more likely to involve corrosion due to a failure to replace the sacrificial zinc anode regularly enough, rather than thermal or mechanical cycling-related failure. And then there’s the switch itself – whether it’s happy being switched (possibly under load) on the order of once a day. These circuit breaker / isolators aren’t necessarily designed for frequent operation, unlike the light switches installed around your home which should be (!) good for tens or hundreds of thousands of cycles. If anything, manually cycling the geyser could *extend* its life, because you’re then subjecting it to fewer thermal cycles, each of which is longer. hi. am having problem with my geyser ,600 dual slimline,is always on,but when I wanna take a bath,it doesn’t even fill the bath with hot water intead just make it half.and water becomes cold,i manually configured it to 70 degrees but still doesn’t help. i feel very proud to say that for the last few years i have had a basic electronic timer with a battery back up (for power cuts …it keeps the set time up to 24 hours), connected to my thermostat through the switched contacts of the timer. what that means is the thermostat calls for heating but the timer has yet to close the cercuit for the power to reach the element. i set the timer from 3-5 am and pm on both geysers i have. as pointed out it is relevant to the amount of useage, so be mindfull through the day of it , but that said two hours is enough to heat the water to temp. i have saved money and trust me it is easier to control or set your timer to suit your needs than have eskom do it for you. I switch my geyser off during da day n on at nights. Some one told me that there are certain downsides to doin that. I really need to knw about wear and tear of the element thermostat and circuit board? Is it true? Simple solution for everyone’s geyser is looking at installing geyserwise, you’re guaranteed to see savings. + Geysers are the number one consumer of electricity, in most households. + Switching the geyser off and on manually is not good practice because circuit breakers are not designed to be switched often. They will eventually break and they can be costly to replace. + By installing a geyserwise you will see immediate savings on your monthly bill and a full return on your investment in only a few months. • Automatically turn your geyser off during periods when not in use- Be in control ! 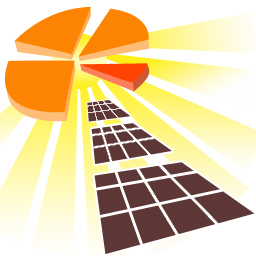 • Easily add on and manage a Solar Heating system with GeyserwiseMax. If you really want to save power usage on your geyser; install a time operated solenoïd valve, with an over-ride switch on the outlet of your geyser. This way you prevent hot water from exiting the geyser except when you need it for showering. Now have the geyser turn on automatically for 30 minutes before the solenoïd valve opens and for 30 minutes after the solenoïd valve closes. The over-ride switch is for emergency use. I await comment from the clever people on this one. I fully agree with Richard.In my case i have install a timer with a override switch and a unit meter.The unit meter is for monitoring the units.The geyser(100 L),only operates a 1 and a half hours a day.There is definitely a urge saving in controlling your geyser or switching it it off.In my case it is almost R150,00 a month,just for the geyser. I would also like the “clever”people,not backyard clever,to proof this wrong. I turn off my geyser right after showering. Why does my prepaid meter continue to show considerably increased power use for some hours after switching off? Keep pipe runs as short as possible. Group bathrooms, toilets and kitchen as closely as possible using a solar assisted hot water cylinder directly above this cluster – especially important where a balanced hot & cold water supply is required. Where this is not possible then remote bathrooms & kitchen should be supplied with demand water heaters. All sinks, basins and baths should be lagged to minimise heat loss. After reading some of the recommendations, I turned on my geyser for only an hour yesterday, and switched it off just before I took a shower. The water was hot enough, and I had enough left for the dishes. (Though I often use cold water for that in summer.) This seemed to cut the electricity used for reheating by at least half. Though there are other variables (amount of cooking done, etc.) it seems I can save between R8 and R12 per shower, which adds up to quite a bit in a month. to turn it off and on? |” was indeed just right! more! Finally looks like Ifound a blog website very well worth reading. hahaha… funny reading all the back and forth. Cheapest way to save the most: Install 300m of 22mm black plastic pipe between the cold water supply and the cold water input to the geyser. Put this pipe on you roof. Shower in the evenings. I set my geyser on 50deg using geyserwise, enough for a big deep bath and a shower. Why heat water that you are not using, I bath in the morning and the water should refil at air temp. Geyser on for 2 hours in the morning and I saved 400kw a month. “Geyserwise” paid for itself in 2 months, at this rate a solar geyser might pay for itself in 15 years , excluding maintainance. So hot water costs us about 100kw a month .. Big saving ! If need be its a press of a button to overide the timer and water used only activates after thermostate drops 9 deg. Their are some brilliant ideas mentioned in this form. I especially like the black pipe on the roof on the inlet side of the geyser. I use a timer which runs for exactly 30 minutes each morning. More than adequate for my wife and I, but the single biggest saving, is we use a gravity geyser. We have had our copper gravity geyser for 36 years. Only changed one element and one thermostat in 36 years. 30 minutes of heating allows two hot showers in the morning and two warm showers at night, because gravity does not waste water. We have just built our retirement home in the Cape and we installed a 50 litre copper gravity geyser with a blanket, all hot water pipes run in the ceiling with insulation. Not a single hot water pipe is outside the building. It works brilliantly. With a gas stove, a fireplace and a Dover wood stove as part of the kitchen for emergencies, our prepaid electricity bill is R 250 per month for two of us. How is that for savings. Just purchased the latest generation gas geyser ( R 1700) as backup for geyser in case of extended power outages. They are unbelievable compared to old technology and lastly I am going to install a Bio gas generator to make my own gas from our kitchen and toilet waste. Bio gas is the future. I may not understand all this scientific stuff but living in Zimbabwe in a household of 4 people my electricity bill has reduced by 30% from switching off my geyser daily. So for now i will stick to switching off my geyser. I’ve got a timer installed and with the timer for the last 3months each month my electricity bill is more . Timer for me is a waist of money. Hi , I would really like to know the minimum temperature setting that could be used without causing damage to the geyser. so the big question..should i switch my geyser on and off…?? should i switch it off before shower? or not switch it off period? you place to make one of these wonderful informative site. Please send me more advice of how to use electricity in my home.Which appliance I must use or not use.And how long must I switch on. Please would someone explain to me what the purpose of a geyser isolator switch is. Also, do I switch it off when I switch off the geyser? Place an “old” geyser in series[like with batteries in a torch] with the existing “electrified” geyser water inlet. by >>removing an “old” geyser tank out of its surrounding “shell” then paint it school-board black and lay it/fix it in/on safe part of roof with constant sunlight. Your existing “electrified” geyser is now supplied with warmer than usual water as a supply. They use this method in Canada. My take on this is as follows, a geyser is definitely a big kettle, and the most efficient way to use it is to ensure that all the hot water is used only when the thermostat has reached maximum temperature. I rewired my geyser with a timer which pulsed, and operated a relay controlled by the thermostat and a pilot light and sounder which brought to the attention of the occupants in the house that they all need to bath straight away. but they could not keep the discipline, the timer was programmed to provide 1 x hot tank a day. as soon as the geyser reached max temp, the thermostat switched it off and provided indication by means of a pilot light and a sounder. On the following day at the same time, the process was repeated each day.In conclusion, if you keep the discipline you will definitely save money. Thanks for taking your time to reply. I will see what happens when my bill arrives! As an Energy Efficiency Advisor, we have done several tests within the domestic market and found that 40 – 60% of the total electricity bill is in heating from geysers. We’ve also done power audits for businesses (where more than 1 geyser is installed) such as Guesthouses and Hostels, etc and found that the power consumption from geysers alone could even exceed 60% of the total electricity bill. We recognised the need to arrive at a solution that would significantly reduce the costs of hot water consumption. With developed a robust titanium Eco – element made with PTC (Positive Temperature Co-efficient) chips that does not use resistance wire as a source of heat, instead it uses ceramic chips to heat water to a set temperature at the same rate as a conventional element but using half the amount of power and hence haIf the costs. I would be glad to answer any questions you may have. As an Energy Efficiency Advisor, we have done several tests within the domestic market and found that 40 – 60% of the total electricity bill is in heating from geysers. We’ve also done power audits for businesses (where more than 1 geyser is installed) such as Guesthouses and Hostels, etc and found that the power consumption from geysers alone could even exceed 60% of the total electricity bill. We recognised the need to arrive at a solution that would significantly reduce the costs of hot water consumption. We’ve developed a robust titanium Eco – element made with PTC (Positive Temperature Co-efficient) chips that does not use resistance wire as a source of heat, instead it uses ceramic chips to heat water to a set temperature at the same rate as a conventional element but using half the amount of power and hence haIf the costs. I would be glad to answer any questions you may have. Switching off your geyser will save you money on your electricity bill. How much depends on the efficiency of the geyser’s insulation. I have experimented with this over a period of 15 years in the three different houses we owned by installing a timer switch to switch the geyser on from 5am to 8am. My wife and I shower in the mornings. Savings averaged between 15% to 20% and drops to less than 5% after a geyser blanket is installed. Savings also varies from summer to winter which indicates the effect of ambient temperature in the ceiling during the different seasons. And no, we experienced no burst geysers or any other adverse effect to any of the three geysers due switching them on and off. We have now installed solar heating and the saving is approximately 55%. Based on the excellent advice given by the author I have now gotten rid of my tea kettle and replaced it with a hot water urn that keeps the water at the right 92 degrees C all day so that whenever I want a cup of tea (about twice a day) there is hot water. I am happy to report that there has been no additional electricity used by doing this. I used to turn geysers on for 10 hours every 6/7 days until one burst. We have two geysers, one feeding the other. The main geysers burst on a weekend. A plumber did a bypass so we could still get hot water till Monday. The plumber installed the new geysers and returned the feeder back to the main geyser as before. Now I need geysers on permanently or they are cold by morning. I’ve had 3 different plumbers in and no one can find anything wrong. Thank you. I really enjoyed reading your articles. Very informative and answered my questions. I find switching off your geyser in winter in not such a good idea. I recently put a temperature monitor on my geyser whilst switched off. The temperature dropped very rapidly as result of cold ambient air. This effect is even more pronounced when you have an older geyser with poor insulation. In summer the heat in ceiling will undoubtedly not have a drastic cooling effect. According to Newtons law of heat dissipation, hot water cools down at a higher rate than colder water. The cooling is not linear, i.e. can be regarded as a descending logarithmic graph. E.g. hot water may cool down (depending on the efficiency of the heater) from 60 to 50 deg. in 1 hour, but from 50 to 40 deg. may take 2 hours, from 40 to 30 deg. make take 4 hours. I.e. the graph starts to level out eventually when ambient temp. is reached. This means, that we are wasting energy by keeping the geyser at a high temperature only to loose it due to heat dissipation. In winter it is even worse when the surrounding air temp. is lower. Rather switch off, you will save energy. And, install extra insulation. Geyser blankets are available from h/w shops. Also consider insulating geyser piping, i.e. the copper pipe connected to the geyser outlet at the top of the geyser. 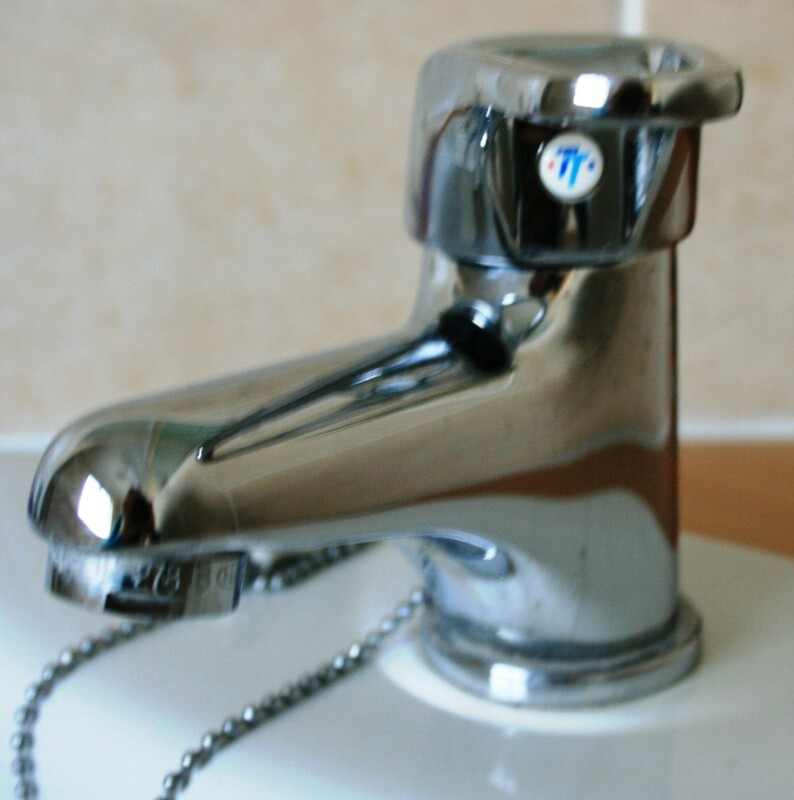 When hot water taps has not been opened for as few hours, feel which pipes are warm/hot and insulate those. Our geyser remains switched off at all times except when we shower or bath. In summer less than 10 minutes is required to heat 50 litres. In winter approx 50 minutes required. Our geyser is a 50 litre copper gravity geyser placed in the ceiling directly above hers and mine bathrooms. Its a very clever design to have two bathrooms onsuite resulting in less than a litre of cold water wasted to my mancave and instant hot water to my lady’s bathroom. Additionally the kitchen uses about a litre wasted cold water before its hot as our design has my wifes bathroom wall, as the second wall of the kitchen.All plumbing is in the ceiling dropping down to where its required allowing all hot water copper pipes to be insulated with sisal rope, them bound by masking tape followed by red insulation tape for hot water and green for cold. Outside the house on the north facing wall I have installed a radiator of copper pipes, 6 metres on length, total length 30 metres which heats the incoming cold water so that the geyser has less water to heat. This works brilliant in summer, some work still required due to the sun movememt in winter. Have been thinking about a solution and I believe I have a unique solution. 50 litre Copper gravity geyser purchased in Durban, easily allows 4 people to shower comfortably with the geyser remaining on during showering. Geyser temp is set so no cold water is required to shower. Why heat water to cool it again? Summer and winter setting for the geyser. Finally the big question, what is our utility bill for electricity? Yes you guessed right. R 350 per month average for the year at of 4 Sept 2018. This increases to R400 per month when we have guests. I’m currently on a project to go drop our water bill by 90%. I built our home with my own bare hands over 8 years so I was fortunate to build like I wished, not like building contractors who simply have no idea of how to build a energy saving house. We have replaced the element in our mor flo hot water heater and the reset button. It is getting power to all termnals. How long should we wait for the water to heat back up.